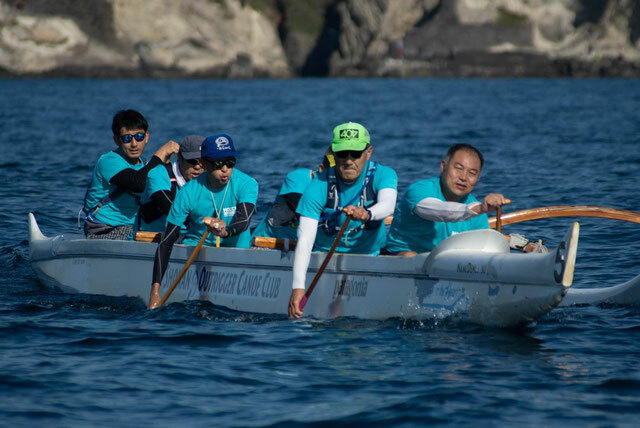 Welcome to the homepage of Horokai Outrigger Canoe Club Kansai "HOCCK"! 関西でカヌー体験できるホックの楽しみ方をご紹介　How to enjoy HOCCK! "HOCCK" is an outrigger canoe club based in Windward Ocean Club, Nishinomiya City Hyogo pref. It is a convenient area that can be reached in about 20 minutes from Osaka, and we are paddling around Koshienenhama and Nishinomiyahama. From Nishinomiya beach you can go to Osaka in the east, Kobe, Akashi, Awaji Island, Ieshima Island in the west. The official name is "Horokai Outrigger Canoe Club Kansai" The nickname is "HOCCK". HOLOKAI (Horokai) means "voyage" in Hawaiian's words. In the early days of ancient times, people came across Japan across the ocean, relying on all the natural elements such as the movement of stars and sun, the position of mountains and islands, wind direction and currents of tides. We paid homage to the wonderful wisdom and courage of their predecessors and gave the new club a name of Holocai. Also, as its pioneer in the Kansai based Outrigger Canoe Club, the enthusiasm to paddle in the ocean is included in its name. About 15 minutes on foot to the south from Hanshin Train Nishinomiya Station. We are keeping outrigger canoe in Windward Ocean Club in Nishinomiyama and practicing every week.